Hands-on exhibits will help convey the value and excitement that working with technology can bring. Your informative handout will educate us and expose us to the many resources available. If you have a product to sell, this is the perfect opportunity to expose it to the consumers. They will be excited to take home something related to the many technologies that peaked their interest. You also might have a unique or interesting history-related or cultural product that we would love to have. We have a limited amount of space for vendors. Help lead an educational session – teach us anything that can help us navigate the world of technology. 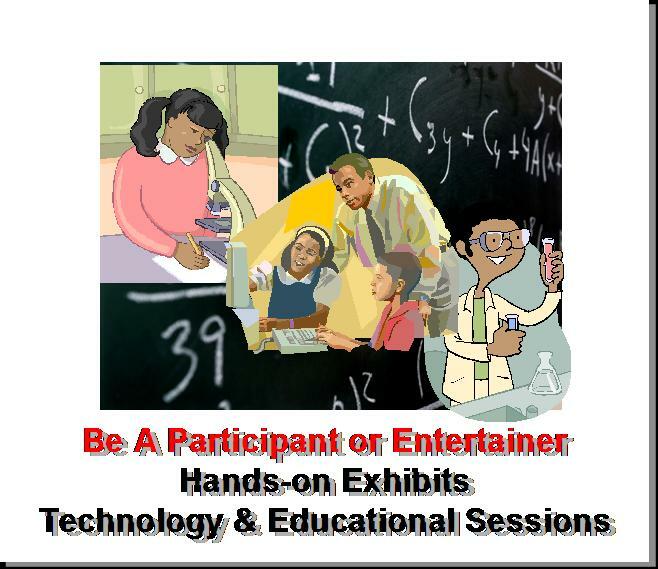 Entertainment that is also educational makes a broader and lasting impression. I know you can do it! Be a Volunteer – WHO VOLUNTEERS? Schools or Organizations, sign up a 5-member youth team. Click here for more details on the competition. Call 215-844-4200 for more information.